The brand mascot first appeared in 1967 and became so popular that when he was killed off in 1971 there was public outcry – an obituary was even placed in The Times! Such a strong public reaction caused the brand to bring the character back to life three years later. 2016 saw the return of the iconic bearded face of fish fingers, after he was replaced by a character called ‘comedy dad’- remember him? We don’t either. Major brands continue to see success from using mascots in marketing. As we move forward into a digitally focused world, mascots are able to personify a brand and directly engage with the consumer through creative storytelling on social media. 2017 celebrates the 50th birthday of the iconic brand mascot – Happy Birthday, Captain Birdseye! On a mission to put more fish on Britain’s dinner tables, The Saucy Fish Co. tackled the widespread perception of cooking fish at home as a daunting and difficult task. The company, which has been voted one of the UK’s coolest brands for the fourth year running, showed the simplicity of cooking fish by inviting a group of primary school children to take control of the kitchen in a pop-up restaurant in London. For one day only, The Saucy Fish Co. took charge of the Stephen Street Kitchen in Soho and brought the School of Fish to life; 20 six-year old kids cooked lunch for 150 unsuspecting diners. The School of Fish was able to break down the barriers around the perceived difficulties of cooking fish and show that it’s literally child’s play. The award-winning School of Fish pop-up, combined with their continued marketing strategy focusing on brand engagement and audience connection, has helped secure the Grimsby based company The Saucy Fish Co. the title of the number one seafood brand in the world – we think that’s pretty impressive! Young’s kicked off 2017 with their biggest ever campaign for their Gastro fish brand. Young’s brand ambassador, Malcolm the Cat, voiced by Rupert Everett, returned to promote the ‘Date Night’ campaign for the brand. 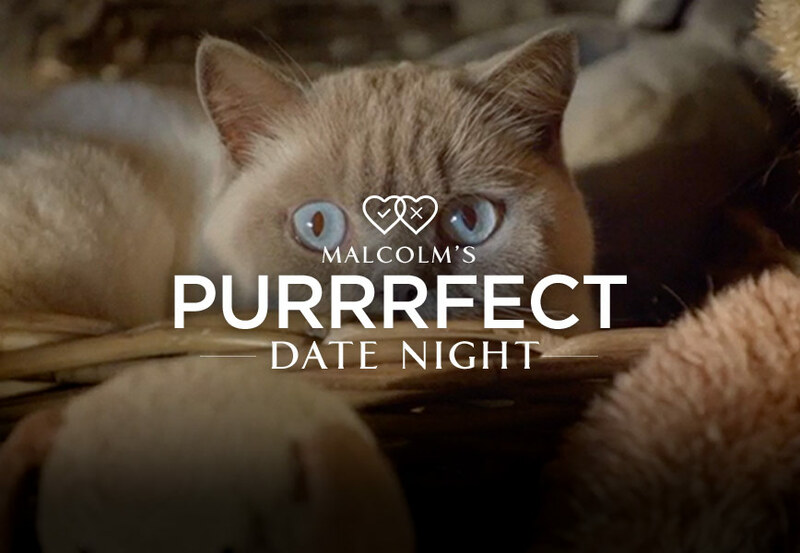 As part of the integrated marketing strategy Young’s launched a Date Night dedicated microsite that features meal ideas with step-by-step instructions, competitions and Malcolm’s purrrfect Spotify playlist for customers to set the mood. In addition to the microsite, the integrated campaign was supported through social media, PR and radio features on Heart FM – very apt, don’t you think? Lidl launched the brand management campaign #LidlSurprises in 2014 aimed at altering the public’s perception of the discount supermarket chain. In 2016, as part of the ongoing #LidlSurprises campaign, the supermarket shared the origin of their MSC Scottish Cooked Mussels. In response, Lidl invited Chris to visit Loch Spelve on the Isle of Mull in Scotland, and introduced him to mussel farmer, Douglas. The series of commercials aired on television and across the web. To complement the commercials, Lidl created Mussel Beach, an immersive pop-up to bring the Isle of Mull to the London masses. The pop-up featured wall projections of the Isle of Mull countryside, real grass and a bed of water from the Isle plus a taste experience of the MSC Scottish Cooked Mussels. The #LidlSurprises campaign successfully reduced the negative perception of the brand by a whopping 70%! As consumers demand more information regarding the origin of their food, Channel 4 responded with the 2010 campaign The Big Fish Fight. The campaign, led by food writer, Hugh Fearnley-Whittingstall highlighted the issue of sustainability and the waste of “alternative” fish, such as mussels, dab, pouting, mackerel, squid and sardines, and encouraged the UK population to be more adventurous with what they eat. The month-long television and digital campaign resulted in 47,000 followers on Twitter, 692,000 views on YouTube and prompted a significant increase of sales of “alternative” species of fish and seafood. Fred loves food, especially of the fish variety! With a wealth of experience working with organisations such as Seafish and the Humber Seafood Group, we understand the challenges and opportunities that come with promoting seafood consumption and core industry issues. Our specialist knowledge in the seafood supply chain means that if you are involved with any part of the industry and need support, you can rely on the Fred team for a full range of marketing and PR support. Talk to us about how we can help you.